Item2019-03-12-11 - Will that be four zeros, or three? 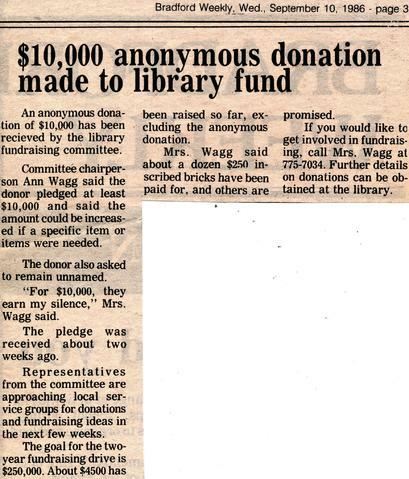 A newspaper article about a donation towards a new Bradford Public Library at 100 Holland Court. 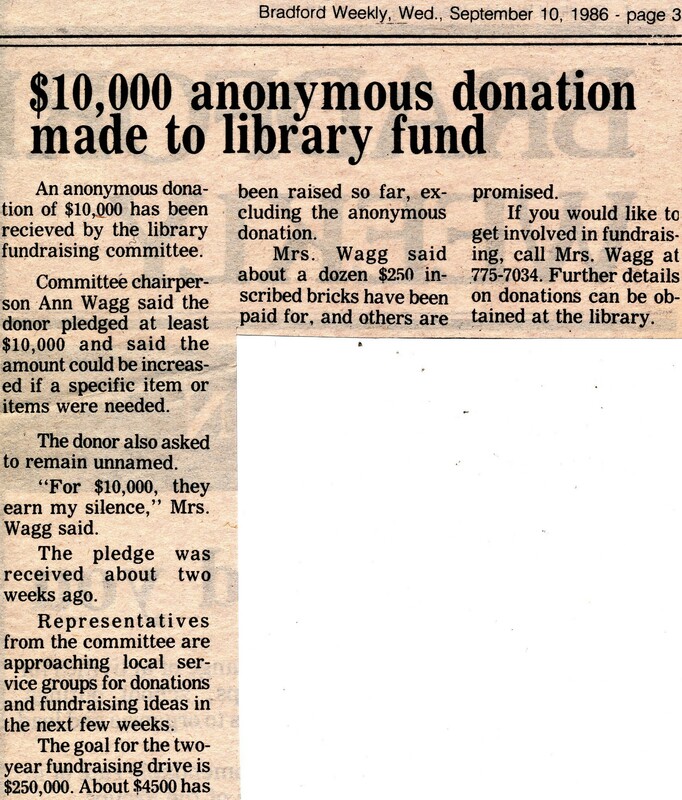 "An anonymous donation of $10,000 has been received by the library fundraising committee..."